Journey of discovering – 19 August to 6 September, 2017. 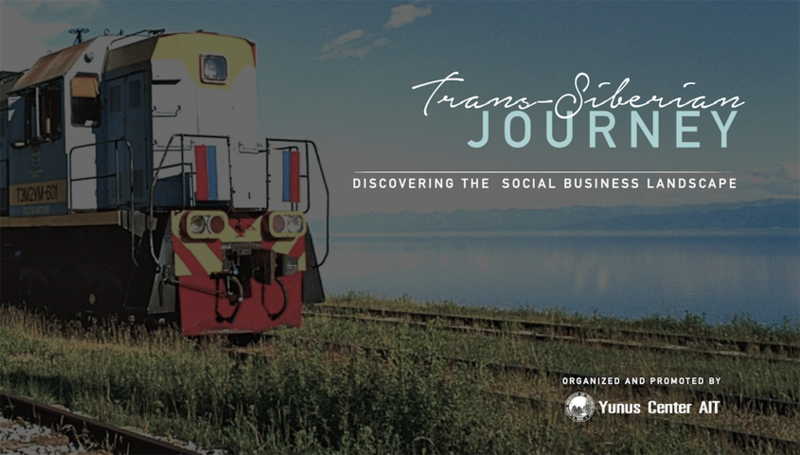 This year, YCA team and their close allies will travel together within 19 days transcontinental journey to explore, examine, and enrich perspectives on social innovation and entrepreneurship across 6,000 kilometers of some of the most diverse communities along the fabled Trans-Siberian Railway. We would start in Moscow and will end in Beijing or Shanghai. The journey will be punctuated by stopovers filled with unique opportunities to observe social innovation at work, visit community enterprises, engage with entrepreneurs, share experiences, and imbibe local wisdom first-hand. Time on the train will be packed with group discussions, mini-workshops on a range of topics, storytelling, and plenty of time for introspection, reading, reflective writing and an evolving menu of self-directed immersion or peer-learning activities. The highlight of the journey will be co-design an affordable, exciting and meaningful program. Our plan is to conduct a practice-run and launch this project in early summer of 2018. This co-learning is unique that everyone will be a learner and a teacher at the same time. While there is a learning framework to follow, every co-traveler would have an opportunity to offer a learning session to the others on a topic of their choice. If you are interested to join this prospection, please send us an email: yunuscenter@ait.asia or see more.